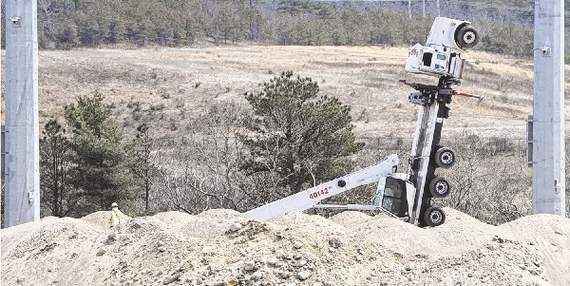 On Saturday, April 12, two Massachusetts utility workers were when a truck tipped on its end, causing the aerial lift they were in to crash to the ground. The accident occurred along the Scenic Highway. The Occupational Safety and Health Administration (OSHA) normally has up to six months to complete its investigation, according to U.S. law. Usually, OSHA completes its finding well before that time. However, this particular accident may take the full 180 days to gain all the information necessary for an accurate report. The two workers (Joseph L. Boyd III, of Fall River, and John Loughran, of Quincy) died when their lift basket crashed to the ground. They were working on transmission lines. It is unclear whether workplace violations contributed to the accident, but OSHA intends to find out. “OSHA will gather whatever information it needs to make a determination,” spokesman Ted Fitzgerald wrote in a statement. The transmission lines are vital to providing power to the greater Cape Cod Canal, nearby one of the most popular vacation destinations along the U.S. East Coast. Photos from the accident scene show extended outriggers (which should be used when people are lifted on the boom end), but OSHA still has to find out if the weather of wind played a part in the accident. According to OSHA regulations, lift controls on aerial lifts should be tested each day prior to use to determine that they are in safe working conditions. Booms and boom platforms designed as personnel carriers must have controls on both the platform and on the ground, according to the regulations. As this blog shows, safety is important for aerial lift workers. That’s why CertifyMeOnline.net is so popular. Our affordable and thorough classes teach OSHA guidelines and up-to-date safety practices for aerial lift operators. We also feature fall protection instruction, scissor lift courses and much more. And with anytime access, your company can get properly certified on your own schedule. Our client list reads like a who’s who of American commerce. Just some of the many popular companies who depend on CMO include Coca-Cola, Harley-Davidson, Fuji Film and many more. Pick up the phone and call (602) 277-0615 to schedule your aerial lift training today. You can also visit our contact page to ask a question or request a quote. CMO is all about helping you become OSHA compliant. Thanks again for reading our blog. This entry was posted in Aerial Lift Certification, Aerial Lift Training on April 30, 2014 by admin. This entry was posted in Aerial Lift Certification on April 14, 2014 by admin. Three aerial lift accidents offer unique insight into the various causes of disasters – and what can be done to prevent them from happening to you. Accident #1: In January 2014, two aerial lift workers died when their lift tipped over near the Lower Buckeye Jail in Phoenix. The lift was on a downhill slope on the jail’s northwest side. Inmates saw the accident and reported it to authorities. Cause: uneven surface. The lift was not on flat, stable terrain. Many aerial lift accidents and fatalities are caused by slopes, hills and ruts. Accident #2: In October 2013, a Montana man was killed when he fell from a boom lift that was being transported on a flatbed truck. Along with the fatality, another man suffered significant injuries. Cause: instability. Because the aerial lift was on a flatbed truck, the workers were dealing with an environment that the lift wasn’t designed to handle. Investigators didn’t say whether or not the truck moved during the accident, but it’s entirely possible that was the case. Accident #3: In February 2014, a Los Angeles man died when a transit bus struck the boom he was operating. The man fell 11 feet – much less than the average boom lift fall – and suffered severe head trauma. As these three accidents illustrate, aerial lift safety cannot be overlooked. And when your company needs the best training, CertifymeOnline.net is all you need. Major companies like Siemens, Verizon, Harley-Davidson and Coca-Cola have entrusted CMO with their training needs. Instead of hiring a 3rd party “expert” to handle your training requirements, go with the online leader. With 24/7/365 access, our training programs are popular with busy supervisors and employees. 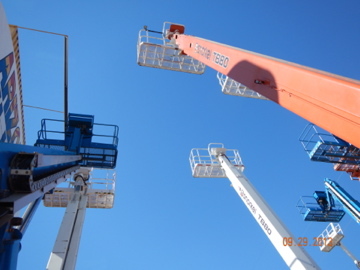 To get your aerial lift training off the ground today, please call us at (602) 277-0615. You can also visit our contact page for other ways to reach us. Aerial lift safety is important, as this blog post has shown. We hope this information is useful – and remember, when it comes to keeping you safe on aerial lifts and other equipment, nobody beats CertifyMeOnline.net! This entry was posted in Aerial Lift Training on April 8, 2014 by admin. Is your old aerial lift on its last legs? Do you need to buy another lift to meet workload capacity? Whatever your reason for purchasing, it’s always helpful to know what to look for. Some up-front planning can help you make the best possible decision when buying an aerial lift. Brand name. Just like automobiles and other durable goods, aerial lifts are often bought & sold based on their manufacturer. Well-established brands are trusted to deliver performance and value. Height limit. Find out how high the aerial lift goes. Factor in your own requirements accordingly. And remember, you might need higher access in the future. It doesn’t hurt to go 25-50 feet beyond normal working height. Tires. Heavy-duty, outdoor tires should be large enough to handle uneven terrain and other potential hazards. Tires are not as much of a concern for indoor aerial lifts, but still very important. Load capacity. If your aerial lift should carry workers and cargo, make sure the lift’s maximum load capacity meets your requirements. Similar to height limit, it’s always smart to get a lift that’ll handle more than your typical carrying capacity. Read & research. Gather all the information you can. If you’re looking at a new aerial lift, find reviews on similar models (same manufacturer, if possible). We hope this brief guide is helpful in choosing the right aerial lift. When construction companies and other firms are choosing the right employees, they want aerial lift operators who are properly trained and certified. CertifymeOnline.net offers the best aerial lift training on the market. 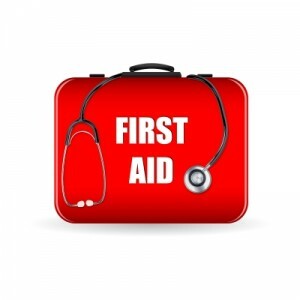 Our online training courses cover all the crucial concepts, so any worker can get initial or repeat certification. Instead of hiring super-expensive third-party experts to do your aerial lift training, why not go right to the source? Please check out our contact page or call us at (602) 277-0615. Our customer service team can help you select the right training program for your situation. We also offer fall protection training, scissor lift instruction and much more! Thanks for reading our tips & tricks for buying an aerial lift. And feel free to read our other blog posts! This entry was posted in Aerial Lift Training on April 1, 2014 by admin.